When it comes to understanding the mysteries that science hasn’t solved yet, symbols like the Flower of Life help us contemplate the universe and everything that lies ahead of us. Find out how this symbol evolved and became more complex once it entered the lexicon of New Age spirituality. The Flower of Life is a complex pattern featuring dozens of circles arranged in an overlapping design. Many people find that the areas where the circles overlap resemble the petals of flowers, and so it earned the name the Flower of Life. It was commonly used across the Mesopotamian and Northern African in pre-Christian times, with some of the most famous examples showing up on Egyptian temples for Osiris. While isolated artifacts can be found scattered across ancient sites, there’s no reliable information available about what the craftsmen who carved the symbols intended them to symbolize. While there are many New Age experts that claim to have secret or channeled knowledge about the ancient and true meaning, these are simply their opinions. It’s possible to use the Flower of Life to represent anything you like since it’s not known what it originally symbolized. However, there are some common shared meanings in the modern form of Sacred Geometry that you can draw inspiration from too. Just like its name suggests, sacred geometry is the art of representing religious and spiritual meanings through geometric shapes. It does date back to the earliest temples and church structures, but most modern users are working off more recently definitions because a lot of information has been lost over the years. Modern sacred geometry is still very powerful and moving, especially if you prefer abstract symbolism over concrete and realistic images. 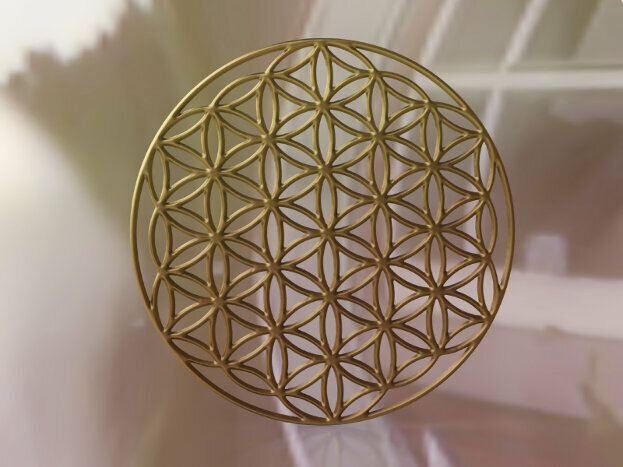 Many people find that the repetition and basic lines of the Flower of Life help them stay focused during meditation instead of distracting them from the task at hand. How Is The Flower Of Life Related To The Mandala? Due to the circular design and complexity of intersecting lines, the Flower of Life is often compared to the mandalas of Buddhism and Hinduism. While it’s not technically a mandala because it comes from completely different cultures, it’s definitely useful as a similar tool for spiritual growth. Many modern artists also combine the symbols found in mandalas with the Flower of Life for a unique new design. What Does The Flower Of Life Symbolize? Learning the secrets behind major conspiracies, health problems, and other issues. 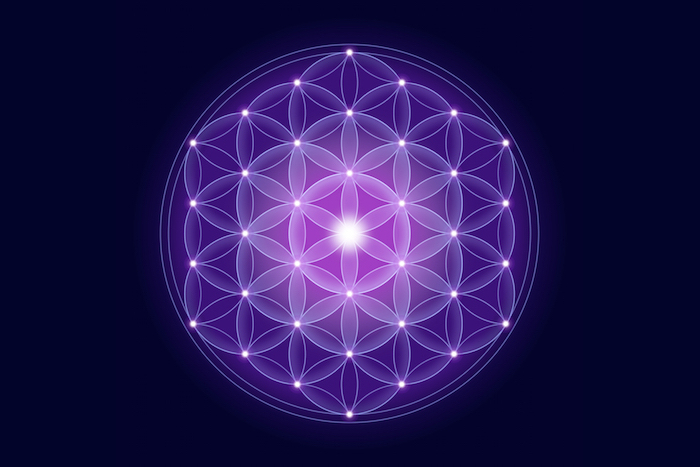 What Can I Use The Flower Of Life For? Feel free to get Flower of Life tattoos, use it to decorate your home, or any other artistic use you prefer. Since it’s not tied to a specific religious tradition from the past, you won’t be insulting anyone by putting it on your body and clothes.